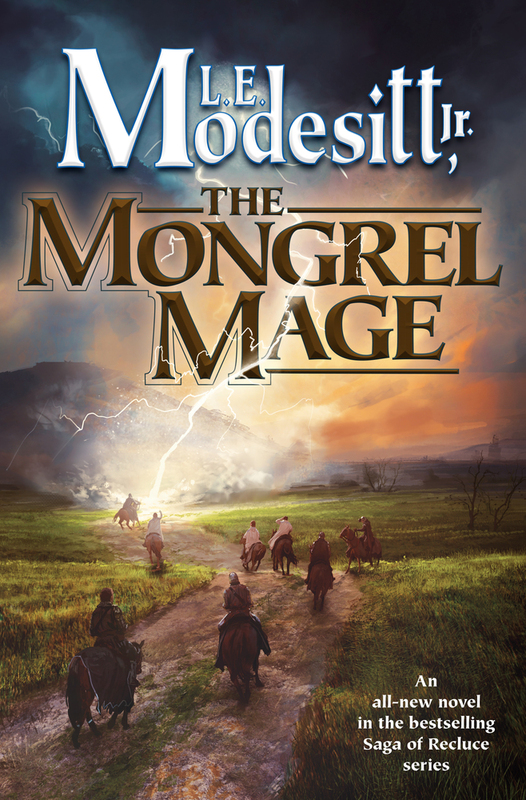 This lucky winner will receive a copy of L. E. Modesitt, jr.'s The Mongrel Mage, compliments of the folks at Tor Books. For more info about this title: Canada, USA, Europe. After a Dresden Files marathon during which I read and reviewed Blood Rites, Dead Beat, and Proven Guilty over the course of about two weeks last year, it took a lot of self-control to forgo continuing reading subsequent installments. 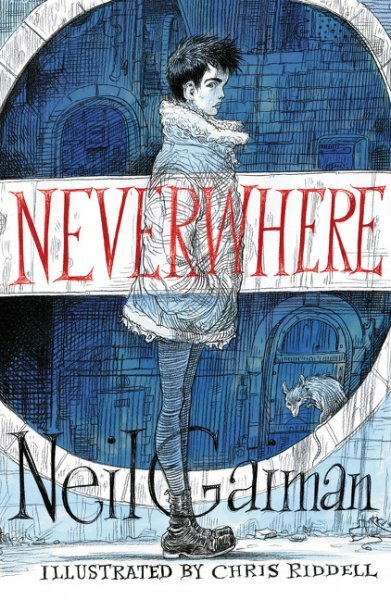 This series has definitely become one of my favorite SFF reads. Understandably, White Night had lofty expectations to live up to. But even if it was a fun and entertaining read in its own right, it was not as good as its last few predecessors. Don't get me wrong. White Night raised the stakes yet again and the odds are now stacked even higher against Harry Dresden and his allies. 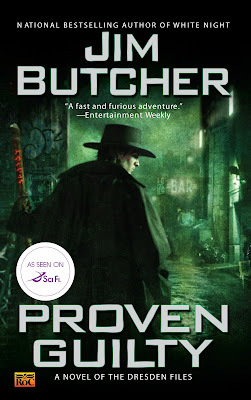 The novel was not as intricately plotted and satisfying as Dead Beat and Proven Guilty turned out to be, yet it nonetheless set the stage for another chapter in the Dresden Files. One that would undoubtedly raise the series to another, deeper and more complex, level. 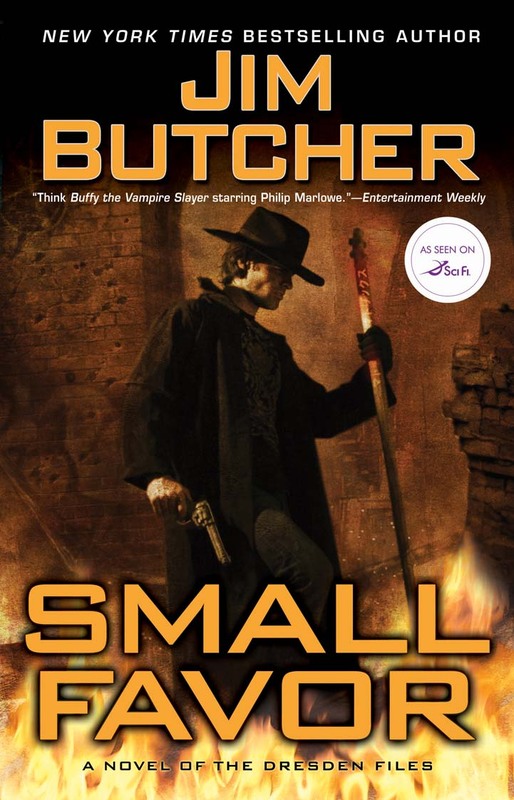 And I'm glad to report that Small Favor is definitely a return to form for Jim Butcher. Indeed, the book elevates the series to an even higher level, with several hints of an even bigger and more ambitious story arc that is gradually becoming more and more discernible. Snow came early that year in Chicago, and harsh winter conditions will plague Harry's existence as he tries to repay one of the favors he owes the faerie Winter Queen and somehow survive this endeavor. The wintertime backdrop was apropos and gave this latest Dresden Files installment its unique vibe. Not sure if Butcher has ever lived in Chicago or anywhere where heavy snowfalls and subzero temperatures are a reality for three or four months a year, but at times his depiction of the blizzard and its repercussions on people did not always ring true. But hey, that's just nitpicking and it doesn't take anything away from the story. As always, the book features the first person narrative of the only wizard in Chicago's phonebook, Harry Dresden. Harry's voice as the only POV remains witty and irreverent, filled with dark humor that makes you chuckle every couple of pages or so. And yet, as has been the case with the majority of the last few Dresden Files volumes, it's the supporting cast which helps make this one another unforgettable read. The usual suspects are there for the ride; Murphy, Thomas, and Molly Carpenter. The rest of the Carpenter family plays a major role in this novel, one that is quite emotional at times. As Knights of the Cross, Michael Carpenter and Sanya got Harry's back when things take a turn for the worse and go down the crapper. But with Nicodemus and the Denarians, both the Summer and Winter faeries, members of the White Council, Marcone and his entourage, as well as Kincaid and the Archive all involved in a multitude of ways, you know that poor Harry is in over his head and may not survive to see the end of this conflict and go on a dinner date with Anastasia Luccio. Small Favor was hands down the most convoluted installment yet. One of the principal themes explored would have to be promises. Made and broken, both. What begins as a relatively simple rescue operation quickly turns into an extremely complicated and intricately plotted ensemble of storylines that links this one with plotlines from past volumes. Like its predecessors, Small Favor is an elaborate and interesting self-contained story. And yet, in my humble opinion, no other book in the series was this complex and unveiled so many secrets that keep readers begging for more. In terms of pace, Small Favor is a fast-moving page-turner. There is never a dull moment and you get through this book before you know it. Although all Dresden Files are more or less stand-alone tales, Small Favor doesn't offer as much in terms of resolution. One of the main characters' fate ends with a cliffhanger, and a number of wider issues aren't wrapped up as neatly as I expected them to be. It doesn't rob the ending of its poignant impact, but it closes the show with the readers feeling that something is missing. Be that as it may, it made it impossible for me not to immediately jump into the sequel, Turn Coat. Which, hard as it is to believe, is even better! Time will tell if I have enough self-control not to scrap my reading schedule for the rest of the year and just continue reading the next few volumes of the Dresden Files. Jim Butcher is awesome and he keeps getting better! If only reading could always be this fun. 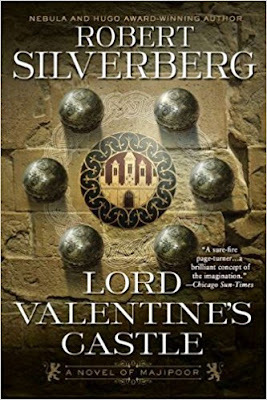 . .
You can now download Robert Silverberg's Lord Valentine's Castle, opening chapter in the bestselling Majipoor Cycle, for only 2.99$ here. He is a man with no past— a wanderer without memory of his origins. He calls himself Valentine. As a member of a motley group of entertainers, he travels across the magical planet of Majipoor, always hoping he will meet someone who can give him back what he has lost. I have a copy of Joshua Palmatier's The Throne of Amenkor, an omnibus comprised of The Skewed Throne, The Cracked Throne, and The Vacant Throne, up for grabs. For more info about this title: Canada, USA, Europe. One young girl holds the fate of a city in her hands. If she fails, it spells her doom—and the end of her world. Twice in the history of the city of Amenkor, the White Fire had swept over the land. Over a thousand years ago it came from the east, covering the entire city, touching everyone, leaving them unburned—but bringing madness in its wake, a madness that only ended with the death of the ruling Mistress of the city. Five years ago the Fire came again, and Amenkor has been spiraling into ruin ever since. The city's only hope rests in the hands of a young girl, Varis, who has taught herself the art of survival and has been trained in the ways of the assassin. Venturing deep into the heart of Amenkor, Varis will face her harshest challenges and greatest opportunities. And it is here that she will either find her destiny—or meet her doom. The rules are the same as usual. 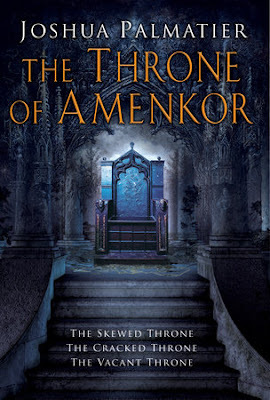 You need to send an email at reviews@(no-spam)gryphonwood.net with the header "AMENKOR." Remember to remove the "no spam" thingy. 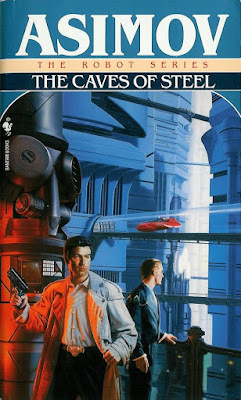 You can now get your hands on the digital edition of Isaac Asimov's The Caves of Steel for only 2.99$ here. There is a price match in Canada. Stephen King and Owen King’s Sleeping Beauties maintains its position at number 2. For more info about this title: Canada, USA, Europe. Alice Hoffman's The Rules of Magic debuts at number 5. Margaret Atwood's The Handmaid’s Tale is up one position, ending the week at number 4 (trade paperback). For more info about this title: Canada, USA, Europe. I've made a point of never dissembling to my readers so why start now? The reasons for this decision (delaying Walk in Shadow) are varied: the basic situation is as follows. For reasons unknown to me, my agent or my publishers, DoD and FoL have tanked in terms of sales. I wasn't even aware of that until we started marketing the First Contact novel, RKH, but when the details came out it took the wind out of my sails (putting it mildly). Now, if it was a matter of the style I employed for the Kharkanas trilogy turning readers off, then the sales of FoD should have been decent, only to then fall off for FoL. But that wasn't the case. Strangely, the Book of the Fallen series remains strong in terms of sales. Was it because it was a prequel? Possibly. Did FoD come too soon after TCG? Maybe. Or is there some kind of reader-fatigue going on? Could be. One theory I've been considering is a more general wariness among fantasy fans regarding trilogies and series -- having been burned by other authors waiting for books, are readers just holding back until the trilogy is done, before buying in? But then, Dancer's Lament sold brilliantly (and it too is a prequel). Anyway, the upshot is, given what we perceive as considerable enthusiasm for the Karsa trilogy, we decided to jump right in. The story picks up four or five years after the ten book series, so there'll be plenty of room to explore the fall-out, and room for favourite characters to make an appearance beyond Karsa himself. I do remain committed to writing Walk in Shadow and humbly apologize for you (few?) readers eagerly awaiting that novel. 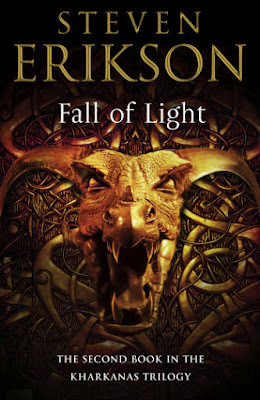 As much as I'm excited about the new Karsa Orlong series, and even though I did not enjoy Forge of Darkness and Fall of Light as much as I wanted to, I was eager to see how Erikson would close the show with the Kharkanas trilogy. I wasn't aware that those two books had tanked like that. :/ But with Rejoice, A Knife to the Heart, The Search For Spark, and The God is not Willing (working title for the first Karsa novel) on the way, I guess we can wait a while for Walk in Shadow. I'm giving away a copy of Steven Brust's Vallista to one lucky winner. For more info about this title: Canada, USA, Europe. The rules are the same as usual. 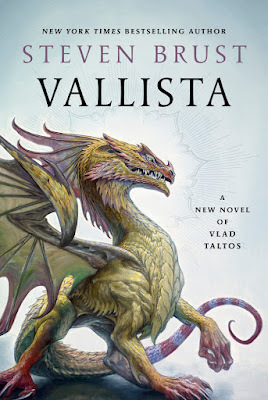 You need to send an email at reviews@(no-spam)gryphonwood.net with the header "VALLISTA." Remember to remove the "no spam" thingy. I was a big Stephen King fan during my teenage years. Like countless readers in the 80s, I devoured novels such as Carrie, The Shining, Christine, Pet Sematary, The Stand, Cujo, and many more. I first read It circa 1989 and I remember loving it. And to this day I considered that book among the very best Stephen King titles out there, second only to The Stand. The new movie's release date was approaching and the reviews were surprisingly good. And I knew there was no way I could go see the new flick without rereading the novel beforehand. Rereading old favorites always come with a certain sense of apprehension for me. Not every book age well and I was wondering if It had survived the test of time. After all, the children's part of the new movie is set in the 80s/90s and not in the late 50s as it is in the novel. Ye of litte faith and all that, I should have known that it wouldn't be a problem. It captured my imagination and grabbed a hold of me from the very beginning and I found myself going through this 1400+-page doorstopper in just a few days. One thing's for sure. As a fifteen-year-old teenager, I was too young and immature to catch all of the nuances found throughout the narrative. Too young and inexperienced to appreciate the superb characterization and the bonds that link the protagonists. It was all about the scary bits and the evil clown, which is what the new movie focuses on. Which is why I elected not to go see the new adaptation once I finished rereading It. Any flick that didn't focus on the character development and the special bond between those kids could be nothing but a disappointment for me. I'll watch it at some point during a flight in the coming months, but It isn't about Pennywise. The younger me didn't get that. The older me was floored by the incredible characterization and the unbreakable bonds that united those kids that comprise the Losers' Club. It occurs to me that I will also have to reread The Stand sooner rather than later. 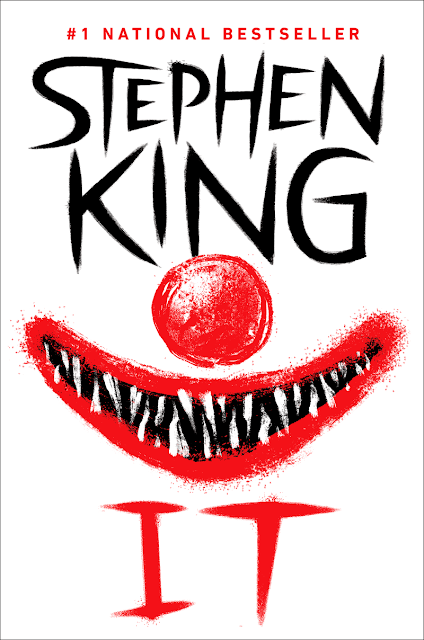 For as things stand, It has dethroned that novel and now ranks as the very best book Stephen King has written thus far. At least in this house. The bulk of the action takes place in the New England town of Derry. 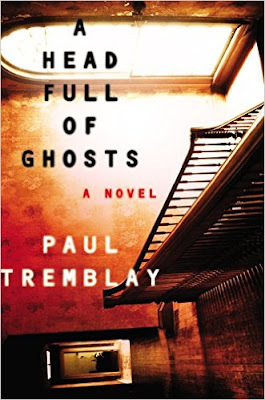 It's a fictional city set in the state of Maine and the author truly makes it come alive. Other than Carlos Ruiz Zafón's portrayal of Barcelona, King's depiction of Derry just might be one of the best ever. The town and its surroundings and its citizens come alive and make you feel as if you're right there with the characters. The novel's structure is split into two different timelines. The first one, which transpires in 1957 and 1958, focuses on the events that would bring together the kids that will face the primordial evil menace they only know as It and their first showdown with Pennywise. The second one, happening in 1984 and 1985, focuses on the same bunch of protagonists and their return to Derry twenty-seven years later to battle It one final time. 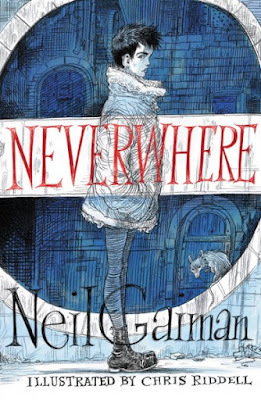 The novel opens up with the now classic scene of little George Denbrough chasing his paper boat down a gutter and his death at the hands of the clown Pennywise. The first part also includes a chapter on the events that led Mike Hanlon to realize that that the cycle of violence and murder that threatens Derry every 27 years or so has begun once again, as well as another chapter in which Mike calls each of the members of the Losers' Club to remind them of a promise they made as children. A promise to return to Derry to stand against It if it ever returned to terrorize the town. The second part concentrates on how the members of the Losers' Club met and gradually realized that they have been brought together for a special purpose. The third part shifts back to the future, where the protagonists are now adults with successful careers, as they must turn their backs on their lives and return to their former hometown. For most of them, it's been decades since they were last in Derry. The third part focuses of the kids' coming to terms with what they must do and their first showdown with the evil known as Pennywise. The fourth part concentrates on the adults' last confrontation with It. The novel also features a number of interludes which are comprised of Mike's thoughts and writings, and which bridge the gaps between the events of the two timelines. And though I much preferred the 1957-58 portions, overall the structure works quite well for the most part. It takes a while for readers to understand just how Mike Hanlon fits into the greater scheme of things, but there is a reason for that. The characterization is by far the most amazing aspect of this novel. It features what could well be the very best character development of King's career. True, that of The Dark Tower is hard to beat. Then again, the author had seven installments to build those memorable characters. And though It weighs in at neary 1500 pages, it is nevertheless one single book. Not sure if a reread of The Stand will make me change my mind, but a more interesting bunch of characters I'd be hard-pressed to name, and none from a stand-alone novel. King has always had a knack for portraying children in a genuine fashion, one that rings true. And what he did with the members of the Losers' Club was a tour de force in that regard. William "Stuttering Bill" Denbrough, older brother of dead Georgie, overweight and good-hearted Benjamin "Ben" Hanscom, pretty Beverly "Bev" Marsh, Richard "Richie" Tozier, also known as Trashmouth, frail Edward "Eddie" Kaspbrak, racially harassed Michael "Mike" Hanlon, and clean and neat Stanley "Stan" Uris are all bullied and abused boys and girl. Stephen King makes them come alive in a way that is nothing short of astonishing. Somehow, fate will bring them all together to face Pennywise, once as young children and another time nearly three decades later. True, the author spends a lot of time fleshing out each protagonist and that may hurt the pace in certain portions of the novel. And yet, that character development is of capital importance, for it shows just how the bonds that unite them first as kids and then as adults were forged. And this is, in my humble opinion, what the story is all about. Each of them face a lot of violence, both psychological and physical. And although these sequences are necessary, they are at times quite disturbing. 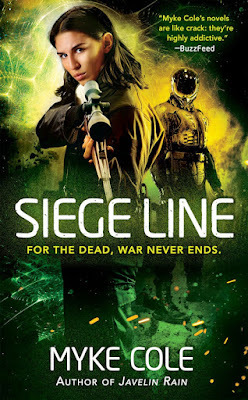 As a fan of grimdark and epic fantasy, I'm no stranger to violence, blood, and gore. And yet, the graphic violence in certain scenes featuring Bev getting beat up by her father and years later by her husband was definitely perturbing. Interestingly enough, an evil clown murdering random people was nothing special. Just part and parcel of any horror novel. But reading about the violence and abuse suffered by all these kids was a lot harder to come to terms with. For all of that, it did bring them all together. Which I figure is the point. King truly captured the themes of childhood and friendship as perfectly as humanly possible, and he made it impossible not to root for those guys. I mean, you would think that Bill's stuttering, Ben's obesity, Richie's voices, Eddie's lameness, etc, would annoy you and get old in a hurry. Yet it's the complete opposite. You basically fall in love with each and everyone of them. As is usually King's wont, It is filled with pop culture references from those two periods. The book is often a trip down memory lane. I know I wasn't around in the 50s, but I'm a child of the 80s and got most of those relating to that era. It is an enormous work of fiction. There is no getting around that. Understandably, such a big novel will occasionally suffer from rhythm problems. And while it's true that at times the pace can be slow, It is never boring. As I mentioned above, I went though this book in a matter of a few short days, and for me the rhythm was never an issue. King has taken a lot of flak over the years regarding his less-than-stellar endings and one has to agree that often that criticism was justified. Having said that, I felt that It ends on just the right note. If you're only going to read one Stephen King title in your life, make it this one. It showcases King writing at the top of his game and is an unforgettable read. Impossible to put down. It deserves the highest possible recommendation. Evil is a Matter of Perspective: An Anthology of Antagonists, edited by Adrian Collins, the man who runs Grimdark Magazine, is now available for 0.99$ here. There is a price match in Canada. 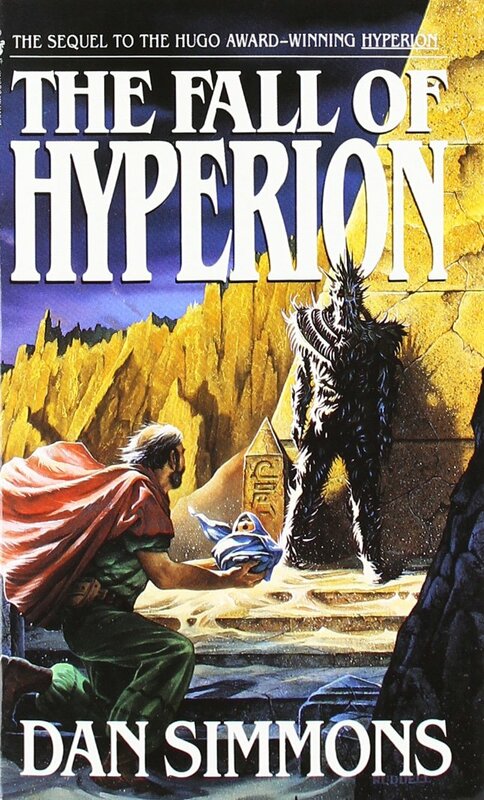 It features stories by Michael R. Fletcher, Teresa Frohock, Alex Marshall, Mark Alder, Adrian Tchaikovsky, Janny Wurts, Jeff Salyards, Shawn Speakman, Marc Turner, Kaaron Warren, Courtney Schafer, Bradley P. Beaulieu, E. V. Morrigan, Matthew Ward, Deborah A. Wolf, Brian Staveley, Mazarkis Williams, Peter Orullian, and R. Scott Bakker. Experience your favourite fantasy worlds through some of the most fearsome, devious, and brutal antagonists in fantasy. Villains take centre stage in nineteen dark and magical stories that will have you cheering for all the wrong heroes as they perform savage deeds towards wicked ends. And why not? 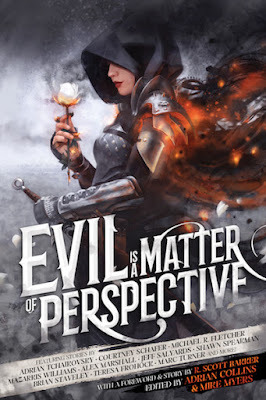 They are the champions of their own stories—evil is a matter of perspective. 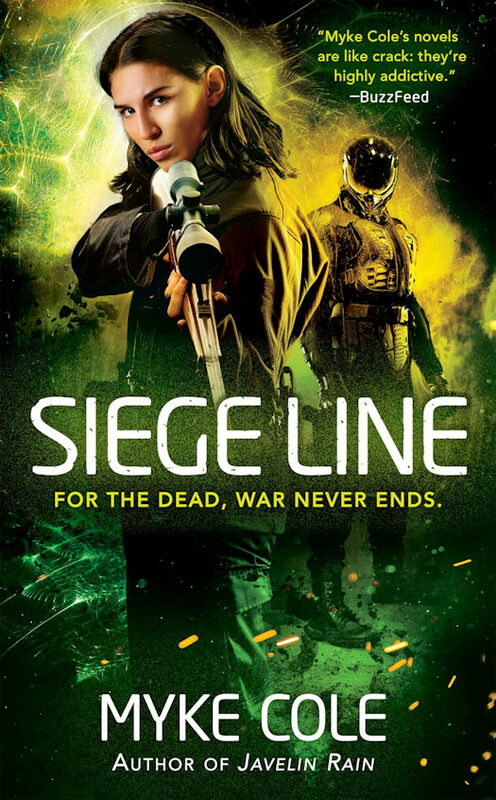 Here's an extract from Myke Cole's soon-to-be-released Siege Line, courtesy of the folks at Ace. For more info about this title: Canada, USA, Europe. Her grandpa had taught her to play snowsnake when she was six, and thirty-six years later, the motion was second nature. Two shuffling steps, the arm whipping low, gently. She gave a little hiss of air as she released the shaft, not because she needed to, but because she always had. The spear did look like a snake, a thin brown line skipping through the unbroken snow, sending up white puffs that revealed the thick ice of the frozen lake beneath. There was a soft thud as it struck the hay bale dead center, sending a spray of yellow across the white. Grampy always pumped a fist when he got a bull’s-eye, but Mankiller stood frozen in her throw. Moving too quickly after letting the spear go could alter its course if you weren’t careful. Mankiller didn’t answer, trying to take in the moment like Grampy told her. The sun reflecting off the smooth white surface of the snow. The sharp bite of the air against her nose. The spear pointing like a compass needle perfectly centered in the hay bale’s side. Save the good ones, Wilma, Grampy always said. Remember ’em for the times when the sun won’t come up. “Great shot.” Mankiller finally turned to look at him, giving the tiny quirk of her hard line of a mouth that passed for a smile. Yakecan looked like God had come down from heaven and stapled half a dozen animals together. He was as big as a grizzly, had a face like a Saint Bernard. His wide cheeks hung down to his neck, chins overlapping just enough to tell the world that this was a man who liked beer, fried chicken, and chocolate. He was as furry as a beaver, and it didn’t help that he was always cold despite all that blubber. He covered himself in even more furs until he looked like a walrus. Yakecan had been her deputy since Mankiller came to Fort Resolution after her tour in Afghanistan. She’d read his file from the Army, knew what he’d done in Iraq. Their first job together had been putting cuffs on Albert Haida after he beat up his wife. Haida was even bigger than Joe, and a mean drunk to boot. Haida had resisted, and turned out to be more than Mankiller had bargained for. She knew that he’d have hurt her, maybe even killed her, if it hadn’t been for Yakecan. He might be as big as a grizzly, but Joe was as fast as a striking eagle. Haida was on his back, knocked senseless, before Mankiller knew Yakecan had even moved. When the Yellowknife cops came to take custody of Haida, they’d asked Mankiller how she’d got so banged up. Yakecan could have said Haida’d gotten the drop on her, that she’d needed him to save her. But he only stood there, smiling. I’ve got you covered, that smile said. A howl split the air, long and mournful. Yakecan’s smile vanished. He glanced up at the bright sun, bent to retrieve the rifle where it lay propped against a small boulder of ice. He only called her by her first name when he was frightened. His eyes stopped scanning, met hers. She stared back. Her calming stare, “Sergeant’s Eyes,” her lieutenant had called them. As if on cue, another howl sounded, closer this time. Yakecan’s eyes snapped away, and Mankiller followed his gaze to a low line of stunted trees, jagged gray limbs struggling through the thick snow. A small shape, gray as the dead growth around it, detached itself from the trees, slunk along the icy ridge, its head turned toward them. Two dots burned in the center, brighter than the shining snow around them. Twin dancing fires, silver threaded with lines of thin gold. Wilma looked into the wolf’s eyes for a moment, and then it turned its head away, trotted along the ridge. Mankiller gave the animal a tentative wave, felt her heart swell. She swallowed the emotion, kept her hand on Yakecan’s elbow until he finally sighed, letting the rifle barrel dip to the ground. She couldn’t resist crossing herself with her other hand. “Yeah,” Yakecan said, setting the rifle down. “S’pose you’re right. Might as well show you how the game is played, eh?” The smile was back, but there was no warmth in it now. “Need the spear.” He nodded toward the brown line sticking out of the hay bale. He trotted toward the spear, froze as another sound echoed toward them. Not a howl this time. A low, rhythmic thudding. Distant but growing closer. “Helicopter?” Mankiller asked, but she already knew she was right. Yakecan moved with his deceptive speed, snatching up spear and hay bale in a single smooth motion. Mankiller retrieved the rifle and led the way toward an icy gulch carved by the runoff of a day that passed for warm this far north. The melting snow had washed a sizeable pile of bracken down the slope, forming it into a makeshift lean-to when it refroze. Yakecan fell in behind her instinctively, crouching his way down the slope, his tread surprisingly quiet despite the frozen crust over the snow. He held the hay bale easily in his huge arms, his breathing smooth and even. Ever since Afghanistan, Mankiller had always felt uncomfortable with her back exposed. On the few occasions she ate at Bullock’s in Yellowknife, she always chose a chair with her back to the wall. Not when Yakecan was around. She kept her eyes front and scrambled under the frozen cover, felt Yakecan jostle her shoulder as he joined her. The roar of the helo engine was even louder now, the dull whup whup whup of the rotors sounding like they were just over the ridge where she’d seen the wolf. 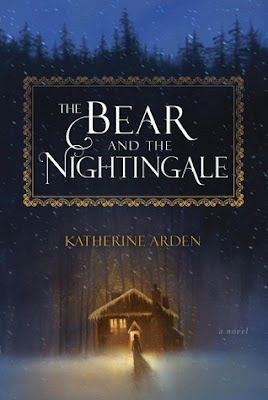 Yakecan wedged his giant head up toward the icy cracks in the sticks overhead, his broad cheek pushing against her own with all the grace of a drunken bear. “Move, you idiot,” she whispered. The film of ice over the sticks refracted the light, a prismatic spray of color that danced at the edges of her vision, but Mankiller had been squinting practically since the day she was born. There was an art to it, a thing that every Dene mastered by the time they were a few years old, scrunching your eyes just enough to keep you from seeing stars, but not so much that you missed what you were after. Yakecan said it was bright like that in Iraq, only it was the sun shining off the sand instead of the snow. The bright white outside first wavered, then bent, then finally resolved as she got her eyes just the right degree of closed. She swept her gaze up, over the hill, unerringly tracking the echo of the rotors to their source in the ice-blue sky. A huge rotor churned above a gray oval, no bigger than a football from this distance. It looked a little like a much larger version of the American Black Hawks that had shuttled her from hilltop to hilltop in the Korengal Valley, jammed shoulder to shoulder with soldiers from Montreal or Kansas or Tbilisi or any other of a legion of places she’d never see. But the Army helos were green or, if they were one of the newer ones, that weird digital camouflage pattern that was so easy to see, it might as well have been hot pink. This one was a silk gray that matched the tenor of the sky. The angles of the airframe were different, softer and more numerous, a deft series of geometrical tweaks that made her eye want to slide right off it. Army Black Hawks flew rough, huge wheels dragging at the air, the shuddering cabin making all inside sore, tired, and vaguely sick after just a few minutes in the air. This helo was as smooth as a bullet. No lights. No weapon pods. No markings of any kind. “Don’t need ’em.” Mankiller cut him off, elbowing him back. Just as there was an art to squinting, there was an art to seeing too, and the two were closely related. She squeezed her eyes shut more, shrinking the light down further. Her peripheral vision vanished, but in the tunnel that remained, all was made clear. It took her a moment to reacquire the helo, but once she did, it looked much as she’d expected. The huge bay doors were open, a gunner hidden behind the hardpoint affixed to the airframe. Mankiller could see the telltale lined cylinder of a minigun barrel, the long cable of the ammunition feed snaking inside. “Is it military?” Yakecan asked. The tenor of the rotors changed from a dull thudding to a higher-pitched whirring, the blades sounding almost frantic as they took on more load. “It’s comin’ down,” Mankiller said. The helo sank lower and lower, so fast that Mankiller’s stomach dropped a little, just as it would have had she been inside during so rapid a descent. It was a skilled pilot who could lower a bird that big that fast without crashing it, but it wasn’t a pilot overly concerned with the comfort of their troops. The pilot stopped the descent roughly fifty feet off the ground, jerking the airframe so hard that it practically bounced, making Mankiller wince. Ropes came flying out of the airframe, three to a side, thick black hawsers covered in some kind of fabric that she guessed would make them quiet as a whisper. A moment later, the first of the operators came down them. They were uniformly dressed in white, trousers bloused into combat boots, tactical vests and packs, carbines and pistols with enough mods and add-ons to make any holster-kisser drool. All were painted the exact color of the snow around them, slashed through with gray that mirrored the landscape. Even using her squinting trick, it was hard for Mankiller to focus on them. The men reached the end of the ropes, dropping into the snow, guns coming up to the low ready, spreading out from the circle of the helo’s rotor wash. She’d seen armed professionals execute the same maneuver every day in the war. These people knew their business. But the soldiers she knew had worn patches on their sleeves, flags of the nations that paid for all the expensive gear they carried. These operators were utterly unmarked, the gray-white surface of their parkas and tac vests marred only by the straps that held their ammunition and armor. With a click, the belly of the airframe swung open, issuing a grinding roar almost as loud as the turbines spinning the rotors. Military transport helicopters usually offloaded from the ramp in the back, and Mankiller watched in shock as a giant metal cage lowered directly out from the bottom of the airframe, sinking slowly earthward on a thick metal cable. Somewhere in the cabin, there had to be a capstan, a winch, and one hell of a motor. She looked at the helo’s modified airframe, the gear on the operators moving out beneath it. The metal winch and cable. All customizations off aftermarket military hardware. Whoever outfitted this mission had an awful lot of money. The cage thudded into the snow, the cable detaching and hauling skyward. Yakecan didn’t even bother speaking now. He stared, jaw open so wide, his chin disappeared below the parka’s zipper. The operators had turned. They were pointing their weapons inward now, at the cage. She did her squinting trick, brought it into better focus. For a moment, she had the crazy idea that it was filled with fat, gray snakes, giant pale worms, sliding and crawling over one another, but a moment later, her vision came into full focus and she saw they weren’t worms. They were people. The cage was packed with people straining and clawing at the bars. The people in the cage were naked, but their skin was the color of old fish, the dirty gray of the snow on a well-used highway. Their eyes burned. Like the wolf. A shape appeared in the cabin door, leaning on the gun hardpoint. Now that Yakecan was looking at the cage and the ring of operators around it, he found the helo easily, eyes tracking up as the last of the cable winched in and disappeared inside the cabin. His eyes were wide enough already, but they looked like they were going to pop out of his head when they settled on what Mankiller was seeing. Yakecan looked grateful for the chance to put distance between himself and the spectacle outside their crude shelter. He immediately turned to scramble out from beneath the woven canopy of broken branches and ice, crouching as he made his way up the gulch’s far side. “You think they see us?” He whispered. If they do, there ain’t much we’ll be able to do about it, Mankiller thought, but she said nothing. They hadn’t brought snowshoes, relying instead on the ATV’s broad tires. Now, hurrying on foot, they crunched and plunged through the crust on the surface of the snow with each step, making so much noise that it seemed to Mankiller they’d be heard even over the rotors. Her shoulders tensed with every step, waiting for a shot to ring out, to hear footsteps coming behind her. But in the end, there was nothing, and before long, the rotors were fading in the distance and she and Yakecan entered a stand of stunted trees, following a winding logging trail that would see them back to Fort Resolution in an hour or so. Mankiller plunged on in silence. There was a rhythm to labor, a drumbeat that reminded her of drum gatherings, or the beats they played at hand games. Following that beat let her lose herself in work, feeling only the steady pulsing of her feet crunching on the snow, rather than her aching legs, or the cold nipping at her nose. But Yakecan had no ear for that rhythm. Fast and strong as he was, he didn’t like hard work, and Mankiller could always tell when he was avoiding it. It was the same when he was frightened, or hurting, or almost anything else. He talked. He talked and talked and never stopped. “Yeah, but . . .” Yakecan began. There was more to the stuttering cadence of his speech. He wasn’t just winded; he was hesitant, timid. He was deeply frightened. Mankiller didn’t blame him. So was she. "Right," Thomas said. "Where are we headed?" "To where they treat me like royalty," I said. "We're going to Burger King?" It's so much fun to have Harry and Thomas together again! The folks at tor.com have just posted an extract from Ian Cameron Esslemont's Deadhouse Landing. For more info about this title: Canada, USA, Europe. During all this, the neighboring island of Nap threatens war and allies are beginning to wonder about Kellanved's sanity. Dancer now faces a hard choice: should he give up on his partnership? Especially when his friend’s obsession with shadows and ancient artifacts brings the both of them alarmingly close to death and destruction. After all, who in his right mind would actually wish to enter the Deadhouse? Stephen King and Owen King’s Sleeping Beauties is down one spot, finishing the week at number 2. For more info about this title: Canada, USA, Europe. Star Wars: From a Certain Point of View debuts at number 12. My review copies of David Walton's quantum physics murder mysteries Superposition and Supersymmetry have been sitting on my "books to read" pile for a long, long time. I've always known that I'll get to them at some point, but there's always another novel/series that gets in the way. Still, when Pyr sent me an advance reading copy of The Genius Plague, the premise immediately piqued my curiosity and I knew that I wouldn't wait forever to read this one. I scheduled things so that my review would go up around its pub date and here it is! Let's be honest. The cover art is absolutely atrocious and likely won't attract potential readers' attention. Which is a shame, for this science fiction thriller is one of my favorite reads of 2017! The bulk of this novel takes place in Brazil and the Amazon rainforest, as well as in and around the National Security Agency compound in Maryland, and the Washington, D.C. area. Other than the presence of the intelligent fungus and everything that it engenders, The Genius Plague reads like an ordinary thriller. The best thing about this book is that it's not hard science fiction per se. David Walton did a wonderful job explaining the science and the concepts involved without dumbing down the plot. The author also managed to avoid the pitfall of peppering the narrative with info-dumps that would have killed its momentum. The result is a compelling science fiction thriller. With its relatively short chapters, The Genius Plague is a real page-turner. As the blurb implies, brothers Neil and Paul Johns take center stage. Their father is battling with Alzheimer's disease, and the sad repercussions this has on the entire family touches the story in a myriad ways. The scenes involving Neil, his mother, and his father's memory loss are emotional and occasionally gut-wrenching. Like Neil, readers find out that the life of a cryptologist working at the NSA certainly isn't all that's cracked up to be. 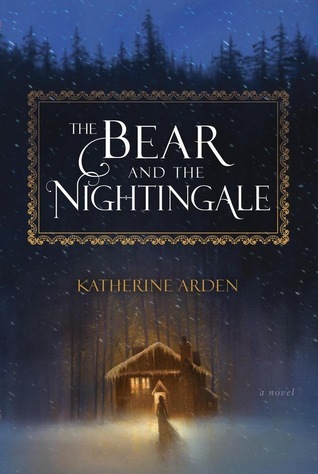 As interesting and three-dimensional as the two brothers turned out to be, there's no denying that it's the supporting cast that makes this novel such a memorable read. Indeed, it would never have been the same without the presence of characters such as Shaunessy Brennan, Melody Muniz, and Andrew. One of my favorite facets of this book is that there are no true villains. Mother Nature can be unpredictable and scary. The fungus does what it feels is required to ensure its own survival. There are no definite plans behind its actions and the aftereffects of the plague on the human brain of its hosts are always unexpected and shocking. With The Genius Plague, David Walton keeps readers on the edge of their seats and you never know what's going to happen next. The science fiction elements notwithstanding, The Genius Plague was meant to be a thriller and for it to work it must read like one. Short chapters ending with startling cliffhangers create a page-turning pace that makes this novel hard to put down. This is the kind of work that you go through in just a few sittings. 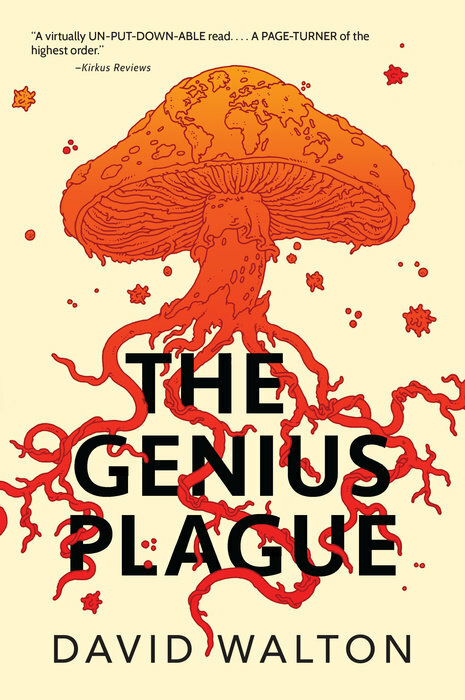 Intelligent, touching, and captivating, David Walton's environmentally consciousThe Genius Plague is a joyride from beginning to end! Highly recommended. Religion and ethics were not always--or even frequently--mutually compatible. The demands of religious absolutism or fundamentalism or rampaging relativism often reflected the worst aspects of contemporary culture or prejudices rather than a system which both man and God could live under with a sense of real justice. You can get your hands on the digital edition of Paul Tremblay's A Head Full of Ghosts for only 1.99$ here. There is a price match in Canada. You can now download Jim Butcher's Proven Guilty for only 1.99$ here. There is a price match in Canada. 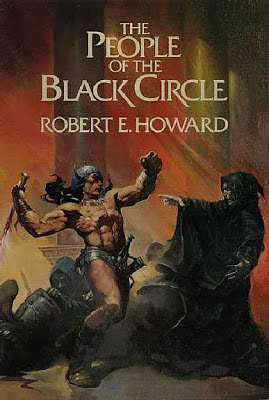 You can still download Robert E. Howard's Conan the Barbarian: 20 Adventure Tales of Conan for only 0.99$ here. 1339 pages featuring Conan the Cimmerian for less than 1$, it doesn't get much better than this! Conan The Barbarian is the original stories about adventure stories of conan the cimmerian written by Robert E. Howard in 1934-1936. In this book contains 20 stories of Conan The Cimmerian. 1.The Hyborian Age, first published in The Phantagraph, February-November 1936. 2.Shadows In the Moonlight, first published in Weird Tales, April 1934. 3.Queen Of the Black Coast, first published in Weird Tales, May 1934. 4.The Devil In Iron, first published in Weird Tales, August 1934. 5.The People Of the Black Circle, first published in Weird Tales, September, October and November 1934. 6.A Witch Shall Be Born, first published in Weird Tales in 1934. 7.The Jewels Of Gwahlur, first published in Weird Tales, March 1935. 8.Beyond the Black River, first published in Weird Tales magazine circa 1935. 9.Shadows In Zamboula, first published in Weird Tales, November 1935. 10.The Hour Of the Dragon, first published in Weird Tales, December 1935-April 1936. 11.Gods Of the North, first published in Fantasy Fan, March 1934. 12.Red Nails, First Published in Weird Tales, July, August-September, October 1936. 13. The Shadow of the Vulture, First published in the pulp magazine Magic Carpet Magazine, January 1934. 14.The Phoenix on the Sword, First published in 1932. 15.The Scarlet Citadel, First published in 1933. 16.The Tower of the Elephant, First published in 1933. 17.Black Colossus, First published in 1934. 18.The Slithering Shadow, First published in 1934. 19.The Pool of the Black One, First published in 1934. 20.Rogues in the House, First published in 1935. 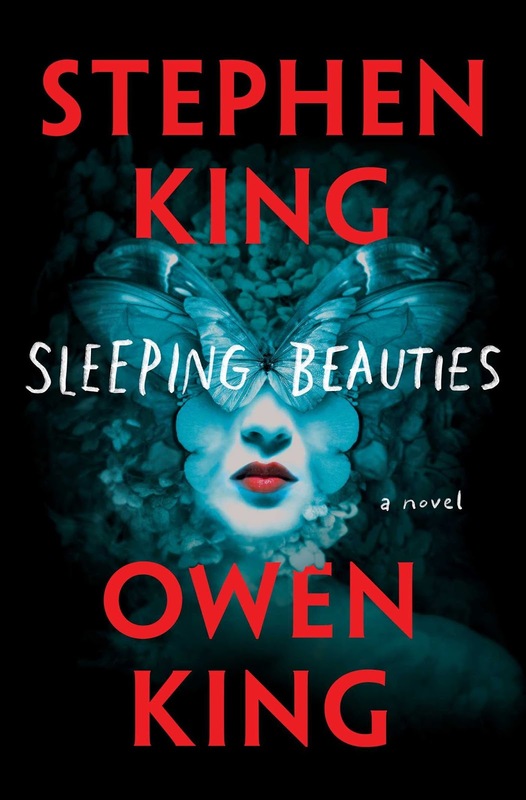 Stephen King and Owen King’s Sleeping Beauties debuts at number 1. For more info about this title: Canada, USA, Europe. Margaret Atwood's The Handmaid’s Tale is down one position, ending the week at number 3 (trade paperback). For more info about this title: Canada, USA, Europe. This probably ain't the first time this has happened, but King holding top spot on both the hardcover and paperback charts is pretty impressive! Time was, Carrie Vaughn's Kitty Norville book sequence was one of the best urban fantasy series on the market. Nearly as enjoyable as Jim Butcher's Dresden Files. I loved the fact that Vaughn takes her characters and storylines along unexpected paths, keeping this series fresh and very entertaining. And while the early books were more episodic in style and tone, in the middle installments the author continued to unveil various hints and offered lots of glimpses of a much bigger and more ambitious overall story arc. Urban fantasy is often characterized by short works which are episodic in nature and don't always allow the plotlines to progress overmuch. 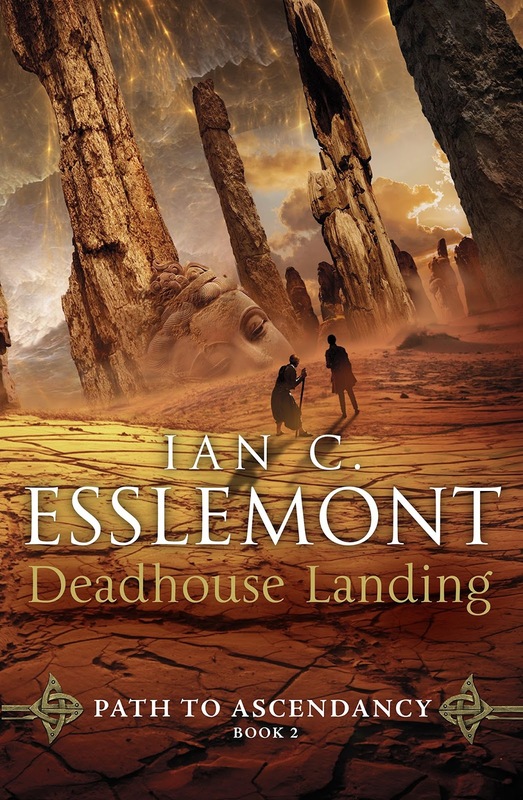 Up until the tenth volume, Vaughn had always managed to dodge the bullet and keep things moving, making you eager to read the next installment to find out what occurs next. Unfortunately, in the eleventh book the series lost a lot of steam. Indeed, Kitty Rocks the House turned out to be the one in which Carrie Vaughn failed to live up to expectations. I'm not sure there was enough material to sustain a full novel and it showed. A lot of filler and not much killer, that novel felt like some kind of interlude and didn't have a whole lot going for it. For the first time ever, a Kitty Norville title was a disappointment for me. And if its predecessor marked the point where the series started losing steam, Kitty in the Underworld definitely brought it to a standstill. This is by far the most underwhelming and often downright boring installment thus far. My disappointment evidently stems from the fact that Kitty Steals the Show raised the bar to new heights. The conference in London allowed Kitty to come in contact with a lot of supernatural creatures, most of them centuries old. We were introduced to yet more players in the Long Game, and once again it became obvious that the endgame was approaching. And the surprising side-story fleshing out the Cormac/Amelia plotline added yet more layers to the plot. All in all, Kitty Rocks the House turned out to be sort of lackluster and at times a bit boring. In the end, we were left with a weak plot that could likely have been part of another Kitty installment and the series would have been better for it. Sadly, Kitty in the Underworld suffers from the same shortcomings. And then some. Once again, there is not enough material to sustain a full book. Kitty gets kidnapped and she spends the better part of the novel talking to herself. That's pretty much it in a nutshell. The book is told in the first-person narrative of the up-until-this point endearing werewolf radio host. With her supernatural knack for attracting trouble and the fact she's not always be the sharpest tool in the shed, there is seldom a dull moment in Kitty's life. And yet, with the odds stacked against her and the stakes always getting higher, her stubbornness keeps putting herself and her loved ones in mortal danger. In my last couple of reviews I've said that it doesn't always sit well with me and this continues to be the case. Kitty is definitely changing with each new installment. Although her heart remains in the right place, I think that Ben and Cormac need to have a serious talk with her. Especially Ben, who truly needs to start acting like a true man and not just a pillar on which she can lean on. Their relationship makes no sense and it's getting worse. 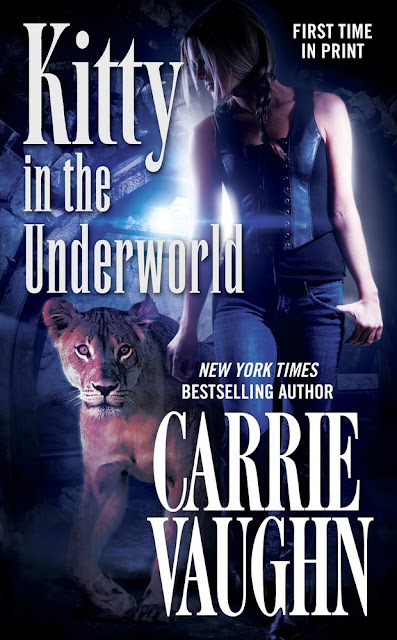 The main problem with Kitty in the Underworld is that the bulk of the novel features Kitty by herself. And if she has grown particularly reckless in the last few volumes, she acts absurdly dumb in this one. Her inner monologue gets old after only a couple of chapters, and things keep going downhill after that. The supporting cast remains absent for most of the book and this is what kills the story. Kitty, at this juncture in the series, cannot, on her own at least, carry the weight of the tale on her shoulders. Not only is she acting stupid, but her association with a bunch of nutjobs while she is acutely aware that what they're doing could kill them all goes against everything she stands for. Both Kitty's Big Trouble and Kitty Steals the Show were transition titles linking past plotlines and weaving them into the tapestry of threads that will lead us to the series' finale. The stage was set for other thrilling reads, but Kitty Rocks the House and Kitty in the Underworld were little more than subpar intermissions. At this point, it's obvious that both the author and Tor Books were milking Kitty's popularity for all it was worth. Here's to hoping that the last two installments will refocus and end this series on a high note. The pace was terrible. I'm sorry, but there is no way to sugarcoat it. Thankfully, Vaughn has been laying out a lot of groundwork over the course of the last couple of books, and the endgame is approaching. For that reason, I'm more than willing to overlook two disappointing and uninspired novels if the subsequent books live up to the hype generated by what came before. It would be a shame for the Kitty Norville book sequence to end in forgettable fashion. But the Long Game has been introduced years ago and it's obvious that the proliferation of sequels has hurt what used to be a quality series. Quality will always win over quantity. Hopefully Low Midnight and Kitty Saves the World will be a return to form for Carrie Vaughn. . .